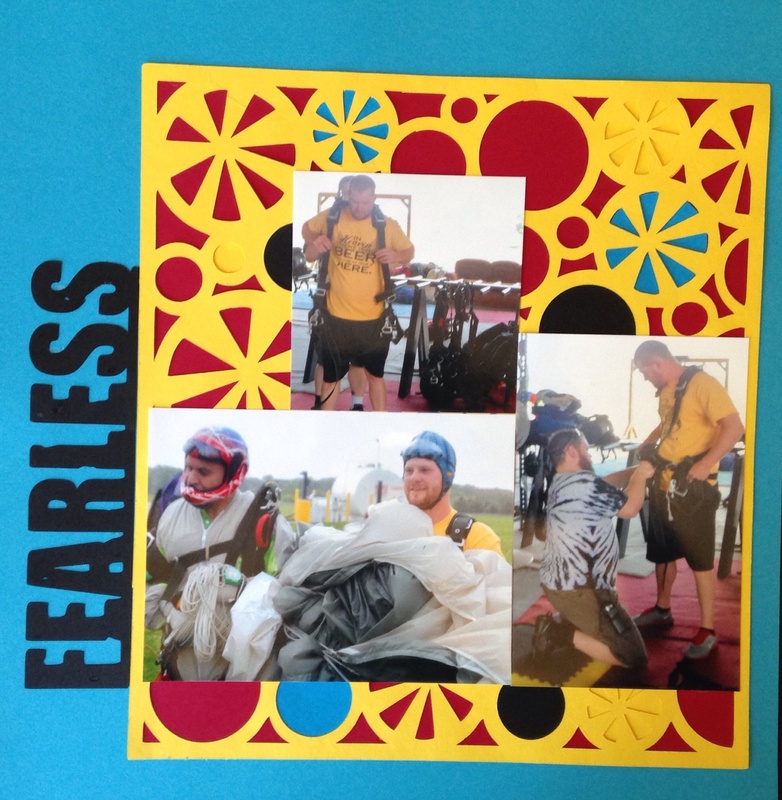 DS2 before and after skydiving for the first time. Brave man! Love the yellow cut piece. Love all the die cuts! Great page. And you would have to be fearless so great title. Tina, love that background!!! WTG on your cricut. Great bg cut! How fun to go skydiving! Fun!!! That's on my bucket list! I love how you did the background die-cut with different colors! That is an awesome bg and I like how you did the different color fill ins! what a neat bg cut! I love your background cut work. Filling some of the holes with bright papers is a great touch. I love the big title. Your photos are great. I've always wanted to go skydiving! What a cool cut for the bg! The smile is priceless. I like the bold colors. Nice layering. Love that diecut with the hints of color! fun, bold and every exciting. the bright primary color combo is a perfect choice. Great cuts, love the colors behind some of the overlay shapes!! Very sticking! GREAT effect with that bg diecut!!! !